Panache Vintage & Finer Consignment has been a staple in the Rochester, NY fashion and consignment industry for the past 5 years. Panache Vintage & Finer Consignment is the top consignment shop in the Rochester, NY area for luxury brands. With a new sale every day, you are sure to find unbelievable fashion at unbeatable prices. Located in 12 corners of Brighton, there is something new daily to see whether it’s quality antiques, new and used furniture, home decor, clothing, jewelry, and more. Panache Vintage & Finer Consignment is sure to have something for everyone. 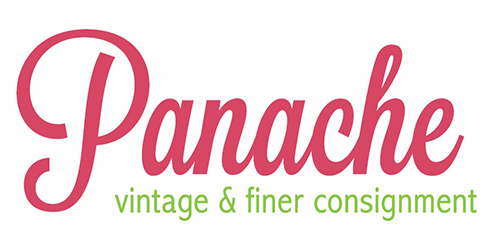 Recently, Panache Vintage & Finer Consignment has expanded to offer quality antiques, new and used furniture and home décor at Panache Home & Design located right next door at 1855 Monroe Ave Rochester, NY. At Panache Vintage & Finer Consignment we buy and sell quality, clean luxury items. Are you looking for the perfect addition to your collectibles or a new antique to continue your collection and decorate the house? We have a large selection that changes daily at our new location Panache Home & Design. Panache Vintage & Finer Consignment offers a level of quality and excellence that you don’t see in most consignment stores. For the past 5 years, we have been hand selecting one-of-a-kind, luxury and haute couture items. With that kind of experience, you can feel confident that you’re buying the best at Panache. Panache Vintage & Finer Consignment consigns and sells new items every day to make sure that every time you stop in there is something new to catch your eye. We love bringing in collectibles, antiques and other home decor and furniture items. We believe that whatever comes around goes around which is why we’re interested in what you have to sell! Bring in your old antiques and collectibles for an appraisal today or to find your next favorite collectors item. We can’t wait to see what treasures are out there! 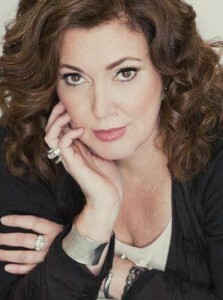 Joan E. Lincoln, a mother of three beautiful daughters, hails from the Finger Lakes area. A true Rochesterian for 34 years, Joan has come from in front of the camera lens to behind the scenes and has been painting Upstate N.Y. woman more beautiful for more than a decade. Working for NYC-industry giant Trish McEvoy Cosmetics, Joan has become a sought-after makeup artist in the region over the past 20 years. Her accomplishments have always focused on female-based retail, marketing and event planning careers; however, Joan’s real passion for empowering women is defined through her fashion forward approach to dressing women head-to-toe.